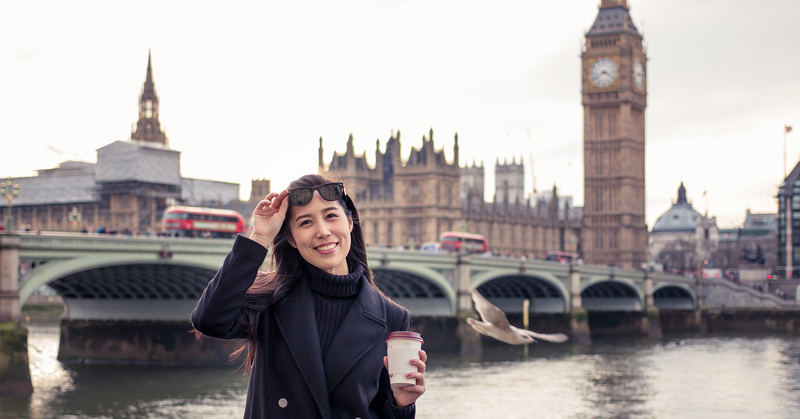 UK’s popularity increases rapidly among Chinese out-bound tourists after a 101% growth in 2017. Ever wonder who are visiting the UK from China? Why you had a tough time to sell to the Chinese tourists? And how to prepare your businesses for the guests from the East? Well, China Tourism Academy (CTA) just released two heavy-weight reports on Chinese tourism industry in the past month, China Out-Bound Tourism Development Annual Report 2017 and Family Tourism Market Demand Report, through which we can gain a thorough understanding of the demographic. One of the most popular non-Asian destinations, UK is set to welcome more Chinese tourists in the following years. According to CTA’s survey, the popularity of UK as a travel destination grew 101% from 2016. But contrary to conventional wisdom, UK, among many other European countries, is deemed as a “niche” destination in the eyes of many Chinese travellers. Due to geographical inconvenience and complicated visa situation (UK is not a part of Schengen area), it would take an extra mile for Chinese tourists to visit. So those who did are of the daring and adventurous sort, meaning the boring way of marketing your product or service to them is guaranteed to fail. Even though over 90% of the tourists still pick shopping as one of the must-dos while traveling abroad, last year saw a change of attitude in Chinese tourists as to what to “buy”. According to C-trip, China’s OTA giant, terms including “food”, “nature”, “outdoor”, “family”, “five-star hotel”, “urban leisure”, “in-depth experience” are among the most searched on their platform. It proves that what Chinese tourists are looking for, and eventually what they are willing to pay for, on a trip overseas is quickly diversifying, from what used to be a product treasure-hunt to an increasingly experience-oriented getaway. According to the report, some secondary cities in western regions have demonstrated surprisingly high willingness and spending power on out-bound travel. Chengdu, capital city of southwest province of Sichuan, has overtaken Guangzhou and Shenzhen as the third largest departure city, trailing only Shanghai and Beijing. And Xi’an, home of the Terra Cotta Warriors in northwest China, recorded the quickest growth in 2017. China is a vast land mass as big as the entire Europe. In recent years, the prominent status of the handful major cities has dominated the headlines in travel industry. But a fact that can be easily ignored is that secondary cities like the two aforementioned are in equal size as the most well known. As the economic development continues to gain force these cities heed the future of tourists.